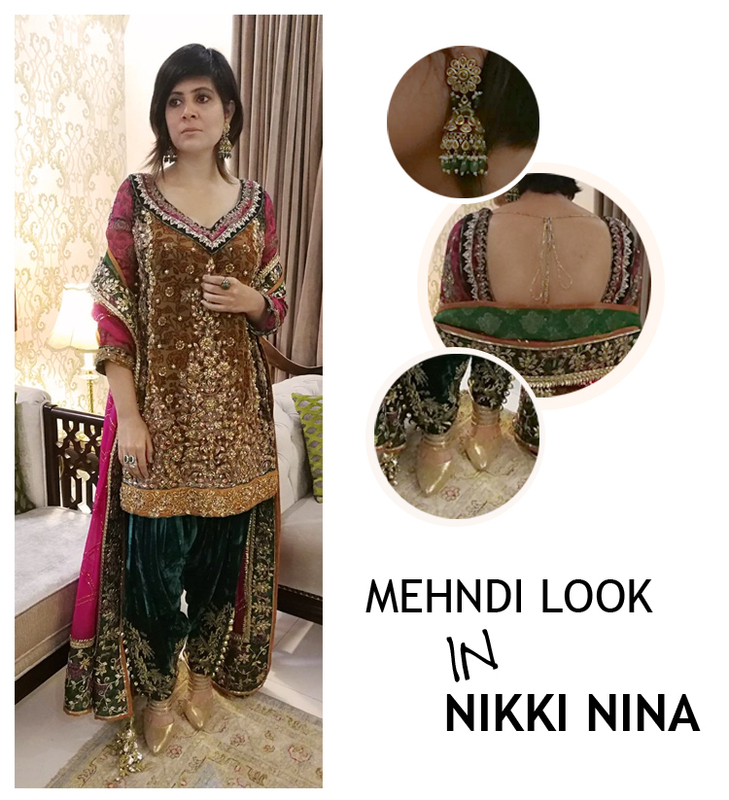 For the mehndi night, I went for a traditional ensemble by Nikkie Nina, which was a heavily embellished brown chiffon short and backless shirt with a perfectly eastern look; velvet shalwarthat had an embroidered border and mukesh dupatta with gotta and kinree on it. 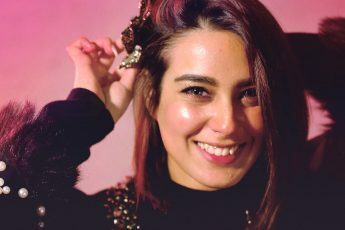 The colours were just perfect for a night of celebration. I complimented the entire look with gold by Raema Malik’s polki and emerald jhumkay and shoes by Julke.